Love is all around us, especially at a wedding. 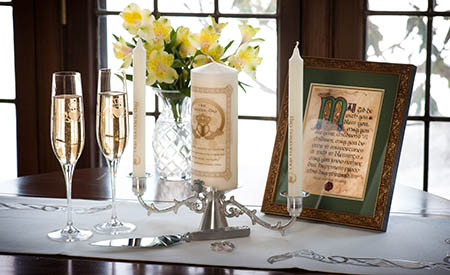 Ever Irish Gifts has created a delightful selection of Celtic and Irish gifts perfect for that special wedding, from the traditional pewter cake server and knife to the stunning personalized handpainted Ogham wall hanging. We have so many unique wedding gift ideas, so browse our Irish Wedding Gift Collection to find the perfect Irish wedding gift for your special bride and groom.